Her passion for the performing arts and outstanding record of volunteer leadership has inspired and motivated many people to join Jane Heffelfinger in supporting health care, the arts and broadcasting in Victoria. Her fundraising talents have been put to work on behalf of the Greater Victoria Hospital Foundation where she united a team of extraordinary volunteer leaders and raised over $12 million in 12 months to replace urgently needed patient-care equipment at four Victoria hospitals. Her talent to inspire and motivate others has also been applied to the Arts community. As volunteer president of Pacific Opera Victoria, her dedication to showcasing Canadian talent changed opera. Her leadership and volunteer fundraising brought new standards to Canadian opera and meant Pacific Opera Victoria recorded twenty years of financial stability, something few Arts organizations achieve. As a governor of the Victoria Commonwealth Games, she was dedicated to ensuring the athletes had the best possible competition and the community received an appropriate legacy. In addition to continuing to serve as Chair of the Hospital Foundations’ Patrons’ Council and the Pacific Opera Victoria Foundation, she also serves as a Director on the Board of the Canadian Broadcasting Corporation and as a Governor of Lester B. Person College of the Pacific. 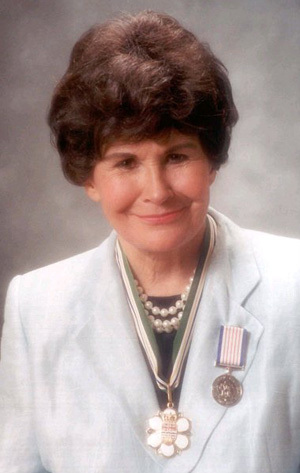 The winner of many awards including Honourary Citizen of Victoria in 1998, Jane Heffelfinger’s volunteerism, advocacy and unwavering commitment have helped make Greater Victoria a thriving and vibrant community.